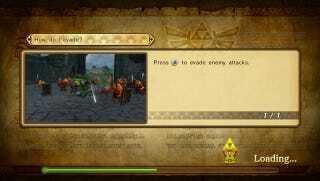 During the Nintendo Treehouse livestream, the presenters made a point to show the cute loading screen that offers a little throwback to the original Link. Hopefully there will be more easter eggs like it! This was shown during Nintendo's Treehouse Live @E3 livestream, which you can watch here.